Bedtime reading has been a tradition that we’ve done for the last 20+ years. We make sure all electronics are turned off, the kids get ready for bed, and we sit down as a family to read. Currently–since we have an age range of 5-16-years-old–I read to the younger kids and John reads to the older ones. It’s amazing how many wonderful books we get to share as a family! Do you like to read aloud? Here are some ideas and tips from friends to help your experience! 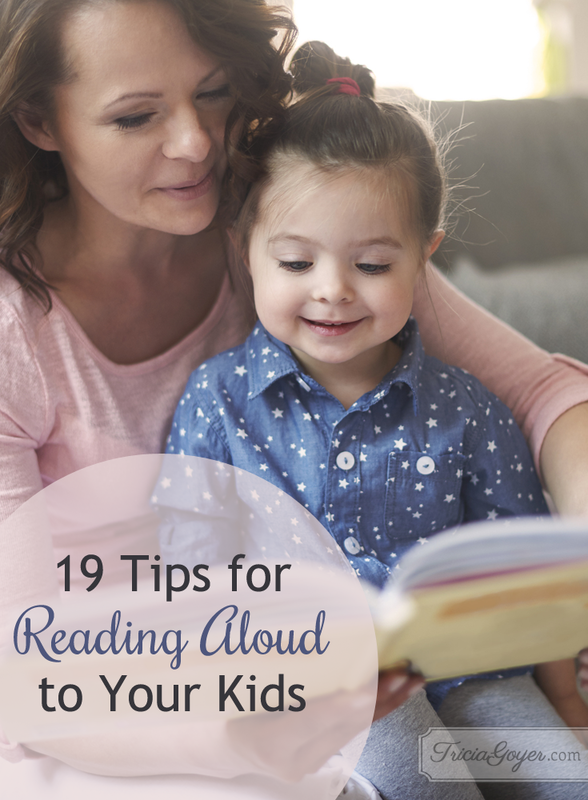 What tips do YOU have for reading aloud to your kids or grandkids?